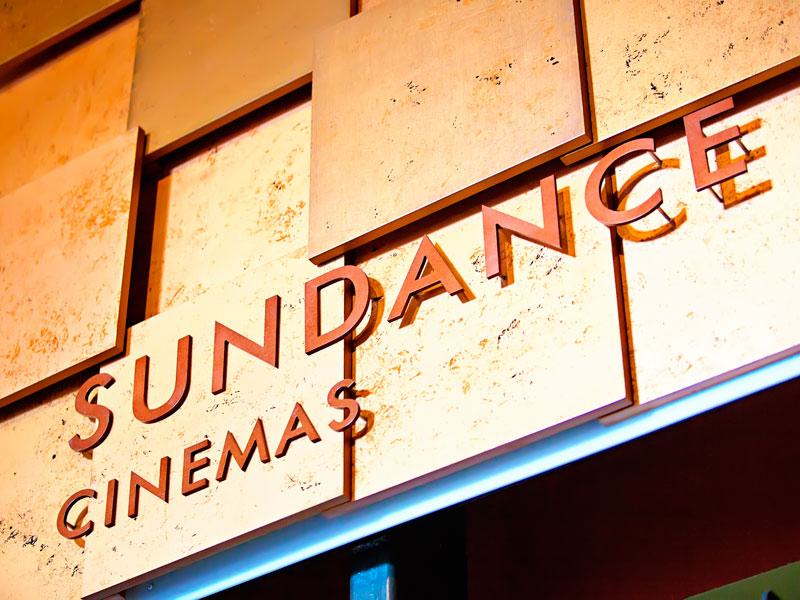 In 2006 Sundance Cinemas became the newest member of the Sundance Group family, headed up by Robert Redford. These new cinemas bring the finest selection of art, independent, foreign and documentary film programming to cities across the country. The addition of Sundance Cinemas both broadens and extends the original philosophies of Sundance. The concept of Sundance Cinemas raises the bar with exciting facilities that feature excellent presentation, reserved seating, upscale amenities, and value added customer services, all in a comfortable environment. Sundance Cinemas offers the best films in the marketplace for a discerning audience. In addition, Sundance Cinemas provides special event programming, educational programs, and other local events that make the facility an important part of the fabric of its community. Today’s audiences demand the best in presentation, comfort, convenience and ambience. Stadium seating, proper screen sizing, digital sound and digital projection are the base line requirements. All Sundance Cinemas honor the tradition of innovative architectural design with an artistic blending of the Sundance aesthetic. Local architects are employed for each facility to insure a distinctive and unique look and feel. Every location has a food and beverage component, including Over 21 screenings for designated shows in San Francisco. Great effort is employed to make these theatres sustainably built and operated from the design, to the construction to the finishes. The Caffe staff pours soft drinks into PLA cups and serves food in recycled paper products and ‘spudware’ made from potatoes. In May of 2007, the first Sundance Cinemas opened in Madison, Wisconsin. The Sundance Cinemas Kabuki had it’s grand unveiling after a major renovation in December 2007. Our third location opened in Houston, Texas on November 23. We recently announced the Sundance Sunset, located in West Hollywood, which opened in summer 2012.